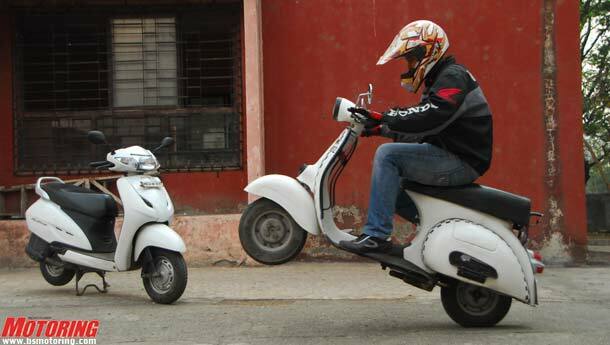 There are few two-wheelers that evoke as many mixed reactions as scooters do. Regarded by some as the epitome of style and flair, others despise them as transport strictly for drab minions. Whatever your opinion on scooters might be, I respect them. But no matter which side of the little wheels your say might lie, there’s no doubt that they are hard workers. One must not forget that India was at one point of time a large scooter market. Seemingly, everybody rode them and almost every joint family home had at least one of these baskets-on-wheels parked outside. But then motorcycles overtook the scooters, practicality was lost to performance and subsequently, contentment ate the dust of ambition. A home-grown company that initially built Italian-designed scooters in India and later developed their own chose to take the fight head on. They continued with the production of these two-wheelers, albeit not continuously, till very, very recently. Sadly, they too have now chosen to ditch scooters to focus all their attention on the glittery motorcycle market.But like someone said, all that glitters might not really be shiny precious metal after all. Case in point: a certain Japanese company, first in collaboration with Kinetic, and later on its own, that has ushered in the resurgence of the ultra-utilitarian scooter. In case you’re still tilting your head to the side and trying to kickstart it to life, the two manufacturers I was referring to are Bajaj and Honda respectively. 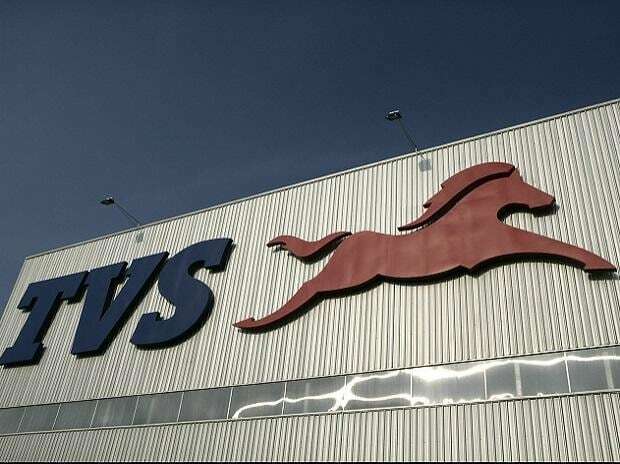 And if you think scooters are passé, here’s something to chew on — Honda sold about 6,73,145 of their Activas, Aviators and Dios during almost the whole of the current financial year. Their motorcycle sales contributed 4,53,944 to the total sales in those same very months. The scooter is here to stay, irrespective of whether you like to hear that or not. All said and done, I’d like to introduce you to Roxanne, Bijoy’s Bajaj 150 (or Vespa clone, as he very aptly puts it) that was built back in the 70’s. It’s a Vespa all right, the two-stroke motor with an aluminium enclosed drivetrain, the voluptuous curves and that 3-speed gearbox with a rear brake activated by a pedal that emerges from the right part of the footboard. Yet, it fits into the Indian landscape as easily as a turmeric-smeared ascetic trudging to the Kumbh Mela. Now here’s another machine that’s thoroughbred Japanese, yet could very well be nominated as the “national” bike of Goa. Well, the reason I say that is that almost every bloke — Goan or tourist — rides the Activa in Goa. Obviously, the Activa has carved out quite a fan following since its launch in 2001. You hardly ever find these scooters in the second-hand market. If and when you do, they're easily in the Rs 25-30,000 bracket for an abused example. That in itself proves two things. One, people love their Activas and won't easily put them up on sale. Two, they age well and despite being run to the ground, will go about doing their thing reliably. So why are these two machines that are seemingly poles apart, sharing the same page, you might wonder. Well, the answer is how similar they actually are. And shall we start from the most obvious, then? Roxanne and the Activa both have small wheels and floor boards. That in itself sort of classifies them into their genre — scooters. Piaggio was a company that built aircraft during the Second World War. But when the war ended, they didn't have any planes to build. The founder of the company, Enrico Piaggio, wondered how he could get his manufacturing plant at Pontedera churning out products once more. And he hit upon the idea of producing a small two-wheeler to get the war-ravaged Italians back on their feet, so to speak. The first design was a strange looking two-wheeler that was wittily referred to as the Paperino, Italian for Donald Duck. Mr Piaggio obviously thought nothing of it and asked Corradino D'Ascanio to come up with something better. And he did. D’Ascanio was an aeronautical engineer who absolutely abhorred conventional motorcycles. He thought they were lumbering things that splattered his trousers with mud and got grease under his finger nails whenever he had to attend to a punctured tyre. He wanted to design something that would be easy to ride and clean to operate. Of course, it had to be good looking too — after all he was Italian, remember? The result was a two-wheeler featuring monocoque construction with formed metal panels covering the mechanicals and keeping the road and elements off the rider. Good old Enrico took a look at it and remarked that its round belly made it resemble a wasp. 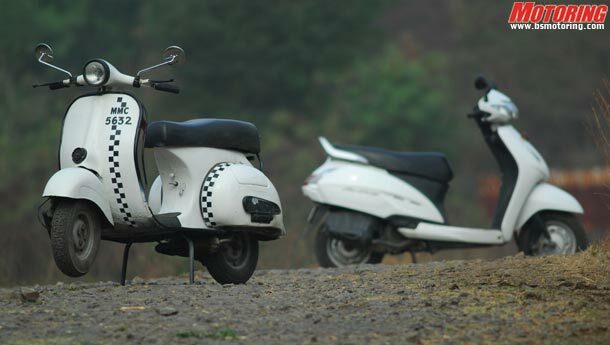 And so the two-wheeler was christened the Vespa, Italian for wasp! An aircraft landing gear-like front end provided easy removal of the tyre — merely four nuts had to be spannered. Enclosing the drive system at the rear kept grease and grime from getting splattered about and the provision of carrying a spare tyre was peace of mind at its best. Despite the passing of many decades, the convenience factor of scooters has remained unchanged. The Activa is a case in point. A CVT makes gearshifts a thing of the past and space under the seat keeps the half faced helmet and gloves in good order. Space on the floorboard is great for holding the groceries bought by the missus and the seat will accommodate even the mother-in-law comfortably. Scooters have traditionally been largely utilitarian and frugal machines. The Bajaj 150 was the commuting weapon of choice for many office-goers in the past, and the Activa continues to do just that. 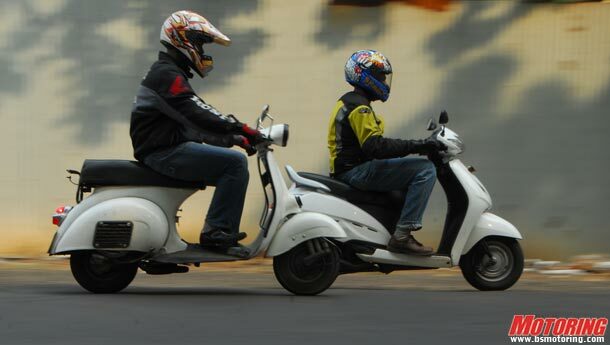 The 150cc two-stroke motor of the Bajaj-Vespa has been known to return nearly 35 kpl and the new 110cc four-stroker in the Activa can offer as much as 45 kilometres to a litre. As I’m riding Roxanne — excuse my language please — while shifting through the 3-speed gearbox with the handle-bar mounted gear changer, I can’t help but think how far scooters have come since their inception. You see, the Vespa isn’t really the conception of the scooter — it began far before Piaggio’s wonderful contraption rode into the hearts of millions around the globe. While the exact first scooter ever made is debatable, the German Hildebrand & Wolfmueller, produced in the late 1800s, is widely regarded as the earliest known example. But it is common knowledge that the scoot was conceptualised as a cheap, no-frills runabout that everybody with hands and legs could ride. As time went by, cars began to take prominence from motorcycles. This was when scooter makers realised that the masses could do with individual transport that cost less to buy and run, but offered a cleaner ride. From the drawing boards popped a bevy of designs, some practical, some totally outrageous. Suddenly, scooter manufacturers mushroomed all around the western world, offering car-like comfort at a fraction of the cost. 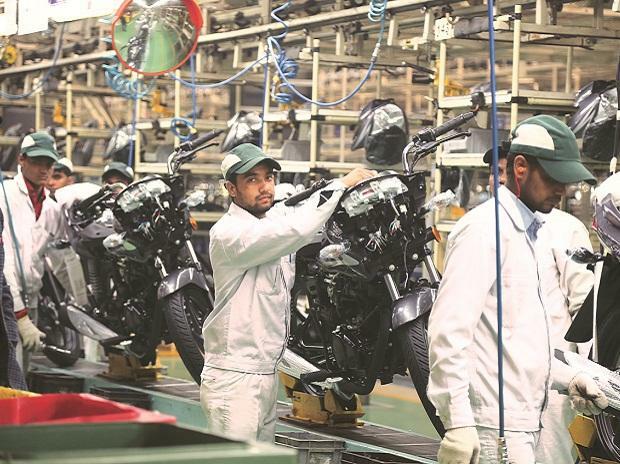 Soon to follow the rage overseas, scooter production began in India but they didn’t exactly match the quality of their foreign counterparts. Their pressed steel bodies seemed to corrode faster than not, and some “Indianised” scoots that were basically motorcycle engines ensconced in metal panels and small-diameter wheels, flopped spectacularly. 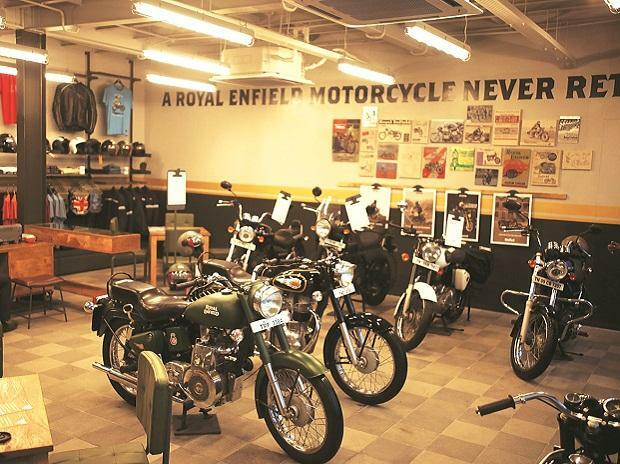 Models like the Royal Enfield Fantabulous, which happened to sport an electric starter, and the Rajdoot Runabout were bought by a handful of people, and I suspect all of them were kith and kin of the manufacturers. But the relatively good products sold in large numbers, so much so that to buy a Bajaj 150 or even a Lambretta for that matter, you would have to wait years to get yourself one brand new from the company. Taking advantage of this situation, scooters were actually sold brand new in the black market for a much higher price. And people bought them. Would something like this work now? Absolutely not. The Indian market space has flung its doors wide open and the fierce competition has no place for monopolies any more. The consumer is now king and he could care a certain rodent’s rear end about high-falutin’ companies. He has the power of choice on his side and he uses it rather mercilessly without any thought or remorse. Scooters like Roxanne are a relic from India’s past while the Activa is testament to the country’s present and shows what direction it's heading. We have come a long way as a nation and like somebody once said, a country is only as good as its roads. Judging from that, we sure have a long way to go.